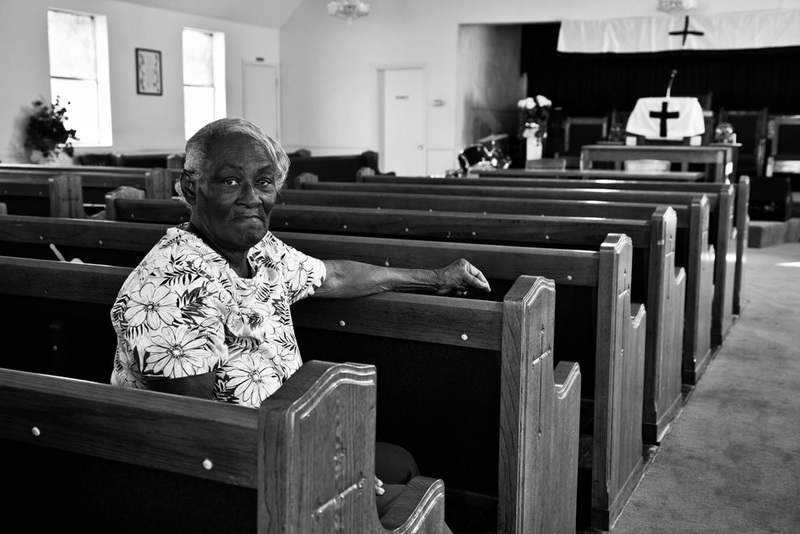 Tall Timbers Plantation Project is a personal photographic and oral history project that emerged out of my curiosity about the few tenant farmer dwellings still standing on plantations in north Florida and southwest Georgia. 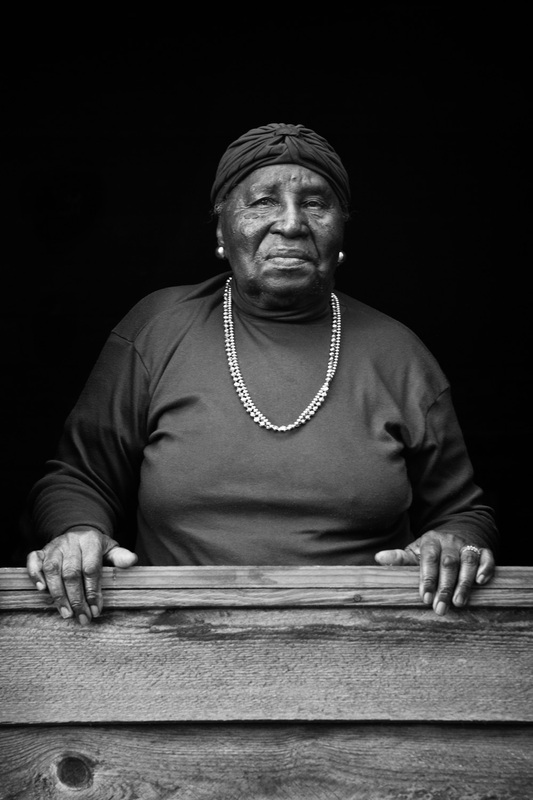 When I discovered that Tall Timbers Research Station had restored a tenant farm house and obtained oral histories from former Tall Timbers Plantation tenants and their families, I became motivated to meet and photograph these individuals. 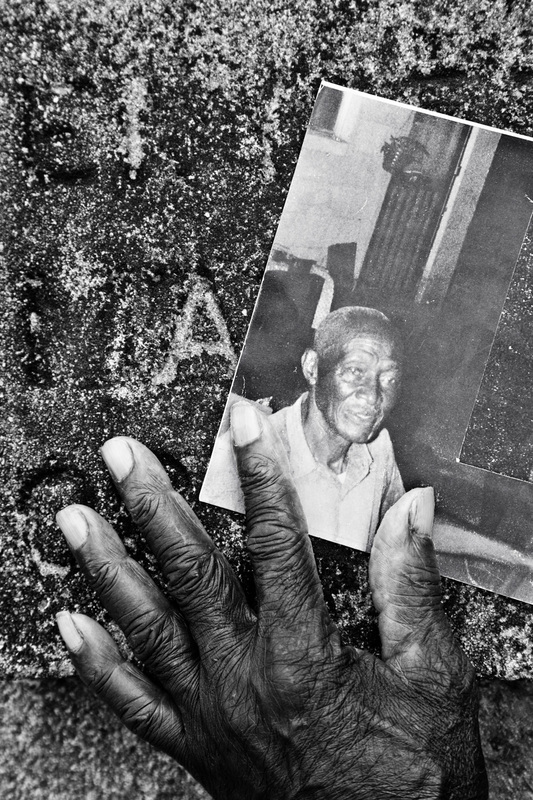 I felt compelled to tell their story and to honor the important role their families played in the survival of the plantations after the emancipation and the contributions they made to the history of Southern agriculture. Although the portraits were the most important component of my project, I realized early in the process that I could not tell the whole story without also photographing the Jones Family Tenant Farm, the landscape and the Beadel House (former plantation house). This pitcher is so special to me because it was handed down to me by my old grandma through many generations...she cherished it just like I’m trying to cherish it…Just to think about this pitcher here, how long it had been handed down is a mystery. Some children would have tore it up but god put it into her whose care to leave it in. I knew that I would protect it and keep it until I leave…I can’t take it with me…I’ve been thinking about why I’m cherishing it, what will become of it when I’m gone? There’s nothing I can do about it. This bottle that I’m holding is special because it’s older than I am. This bottle go way back when soda was just five cents a bottle and this is a great soda that I am holding in my hand. Well I used to collect antiques and so I have several bottles and this is the one I really like because I like grape sodas. [This photograph] is so special to me because it is the only one I have of my father and my father and I were very close... my niece presented this picture to me …it brings back all sorts of rememberances…When I look at this picture I see all that love coming back, just standing there looking at me and I’m giving it right back to him. I don’t think I could get anything better. Money couldn’t even take the place of this. I love reading. I love reading because it is so inspirational and has a wonderful knowledge base effect. Reading brings the outside world within. The more I read, the more I enjoy reading. This is why you will always find a book nearby. I chose this book because it happens to be my inspiration at this time. I actually learned to crochet at age 19 and I didn’t have an opportunity to do it that much then…when I retired it became so important because I realized I could make so many projects for people... I have made numerous afghans, baby blankets, little hats, booties, just things that people really seem to appreciate, and all it takes for me is to see a smile on someone’s face, to hear someone express their appreciation for such small items. That within itself makes me feel very good and I just do it as a hobby. When I have a little time I love working on it. That’s my joy. My friend Yvonne gave me this angel when my brother LeRoy died. Roy was a musical man in his own way, so I appropriately named the angel after him, LeRoy. Whenever I look at the angel, Roy, I remember my brother and take a moment to cherish the time we loved and shared together. I’ve been liking plants ever since I was a little girl because my mom liked the plants and sometimes I think I must have taken after her… Some different story…One of the guys told me the way he roots his plants is people is good ‘bout rooting plants and everyone would tell me a with a grain of corn on the plant, and put it down in the ground and when the corn start comin up, he said that makes the plant start coming up. Well, I never had luck doing that. My luck is still what I call the old fashion way…these roots you see I’m holding in my hand, they are so precious to me because I know they’re going to live with all these roots… I like to put them in the pot because I can set them anywhere and the other ones you just put outside… I can’t tell you how much I love pretty plants and pretty flowers. They are my favorite. The washboard is one of the old things that my mother had…I think this is the last one she bought before she was able to get a ringer type Maytag washing machine. She kept it in her storage place after she didn’t use it anymore and I told her, “Oh, I would love to have that”… to tell my kids and my grandkids about how easy they have it now. They don’t realize how tough things were back then, that you had to rub the clothes on your hand, then you had to rinse them… hang them up, [and] take them in. But now, kids have the washer and dryers…all they do is let them stay in until they boil up and they just don’t know how blessed they are. My mother and father had that sausage mill for years and years. When both of them passed I just got it and brought it home with me and I told all my sisters and brothers, “This is going to be mine. I’m going to keep it here to remember my mother and father both,” because really we have ground a lot of sausage with that little mill… and the liver pudding. They would take the hog’s liver and boil it, grind it and put it in a casing just like you did the sausage. We hung it up in the smoke house… You’d go in that smokehouse and get you a piece of liver pudding or sausage and eat it. You could eat it just like it was. I began working at Tall Timbers as archivist and I wanted to know a little more about the Beadel’s activities, what their life was like, what their home was like, who their friends were and I found that the diaries were a wealth of information. Mr. Beadel’s diaries were rich in natural history, not so much with political and social history but with his great love of the outdoors. He reflects this on almost every page of his diary. He also notes a lot about what was happening with the tenant families and as we began to get into the project of the tenant families and the family tenant farm, the information in Mr. Beadel’s diaries and ledgers helped with that project. We came to be on Tall Timbers…in 1928, when I was 2 years old and my father took a job on the plantation…as an assistant superintendent… We moved into a little house down the hill which is still standing… I was just a tot when I came here and later (when) I got so that I was more of a human being Mrs. Beadel would have me come up. Mrs. Beadel was a very warm and generous person so not having any children of her own she sort of took me under her wing. My mother would scrub me up and I’d come up to the big house and Mrs. Beadel and I would sit on the front porch and have tea. She had oreo cookies, assorted boxes which you don’t see any more. I thought that was the greatest thing in the world. She taught me to sew on buttons and to properly tie my shoes. And every trip that they made to New York or… to Europe…, she would bring me back some little token… but through the years I’ve lost most of all that. I have a little pistol puzzle that she brought back from one trip to New York and I’ve treasured it all these years because it is the last token I have from that era.